Aimed at players with moderate swing speeds that want more launch, distance, and fewer slices with less strain on their body, the new XXIO Prime woods and irons are absolutely chock full of technology. Check them out below to see if one or all might fit your swing and overall game. The Prime driver ($850) features a Super-TIX Plus titanium cup face design, which due to the high strength-to-weight ratio of the material provides faster ball speeds from a significantly larger sweet spot than that of the previous XXIO model. In addition, an expanded toe and narrower heel area as well as a tungsten-nickel inner weight provides a lower more heel-oriented CG for improved launch angles more forgiveness and stability. The new XXIO Prime driver. The new Prime driver is also built with a lighter hosel design that's actually a bit closer to the center of the clubface, making it easier to stay square at impact on a more consistent basis. A new SP-1000 shaft that's exceptionally light as well as a lightweight grip saves more weight, making the Prime driver very easy to swing throughout the course of a round. And for those who struggle with slicing the clubhead features a more upright lie angle that promotes a right-to-left ballflight. The Prime fairway woods ($580 each) feature many of the same technologies as the driver, as well a lighter hosel that's 3mm shorter than the previous model and a 27g weight that moves the CG to an exceptionally deep and low position. Like the driver, the fairways are built with hosels that are closer to the center of the clubface (by 2mm), making it easier to square the face at impact for straighter shots and less slicing. The new XXIO Prime fairway wood. Other features include a more low-profile clubhead and a cup face design that increases COR across the entire clubface for faster balls speeds and more overall distance. Prime hybrids ($380 each) and irons ($260 per iron) are also fitted with many of the same technologies as the driver and fairways. The hybrids are designed to help bust the slice due to a higher toe, lower heel, and a CG positioned closer to the hosel. A lower crown also helps lower the CG for higher launch and more forgiveness, while a cup face design with a forged maraging steel insert greatly improves ball speeds. The new XXIO Prime hybrids. The new irons are also aimed at providing increased launch, distance, and forgiveness due to forged titanium faces and a milled speed groove, the combination of which improves COR across the entire face. Other features include a slice-stopping higher toe, lower heel design and high-density tungsten nickel sole weights that lower the CG for more forgiveness and higher launch angles. The new XXIO Prime irons. 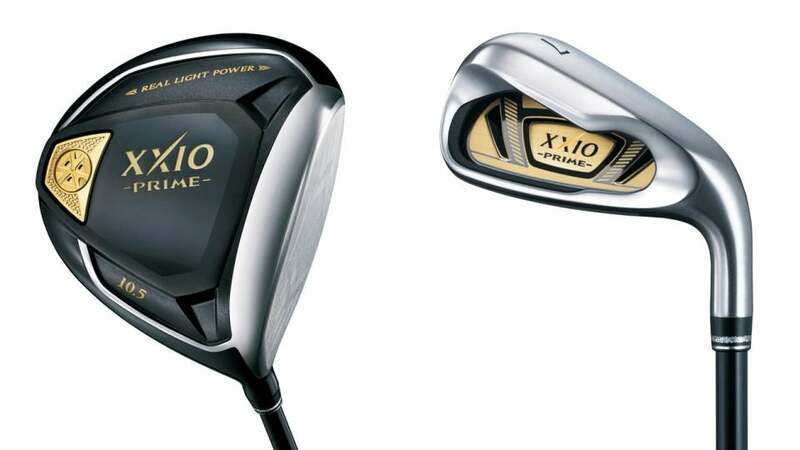 The new XXIO Prime woods and irons will be available at retail on March 1st.